Happy New Year! I cannot believe how fast this year has come and gone. It's officially one year since my resolution to become a serious and dedicated blogger. I don't mean to toot my own horn here, but I have to say I'm damn proud of myself. For one of the first times in my life, I set a goal and I achieved it. But, of course, none of this would mean anything if it weren't for my readers. Thank you guys from the bottom of my heart. 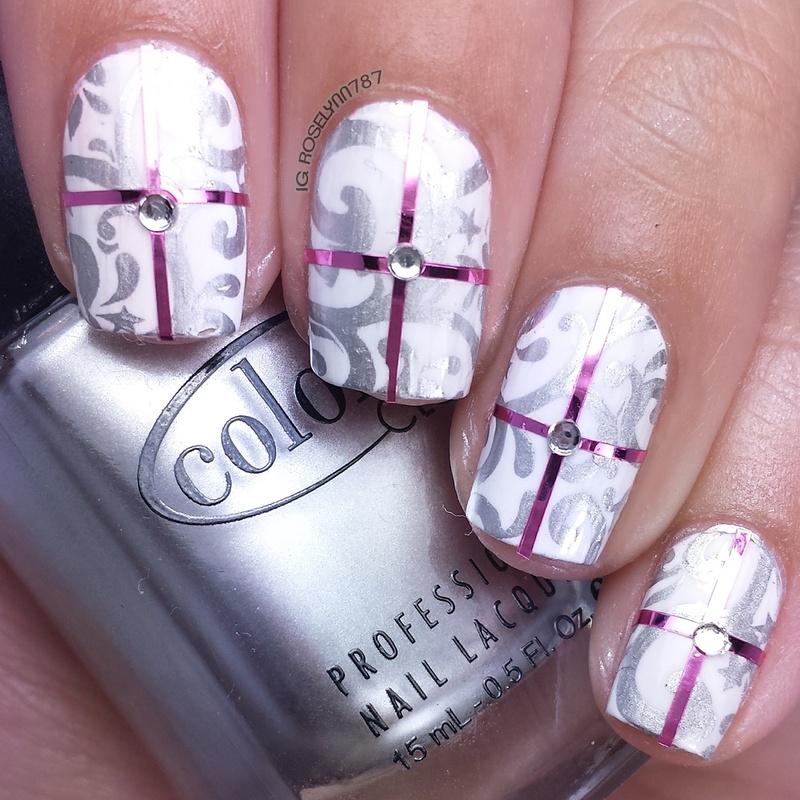 As a special treat, I'd like to share with you guys my top eight nail art designs of 2014. I honestly didn't plan on doing any of these 'top' this or that posts, but thanks to my hubs and best friend I was able to come up with this countdown. We spent about an hour narrowing down from over forty designs to bring to you what we feel were the top eight. It was not easy. Many chocolate goodies were ingested to help make this post possible. I know you may be wondering, why top eight? Honestly I would of done a top ten... but... I couldn't figure out how to collage ten so I said f*** it, I like the number eight better anyway. Let's get started! And finally the #1.... The Pumpkin King! And.... That's it! These were my/our picks for 2014! Special thank you to Adam and Austin for sitting with me and picking these out. It was surprisely a lot more fun than we anticipated. Here's to a lot more nail art in 2015 and a lot less nail fails, haha. Did you see your favorites here? Did your favorite not make the cut? Let me know which one is your number one! I love your top two (well, I love them all, but those the most), but I'm just impressed you could narrow it down to 8!! 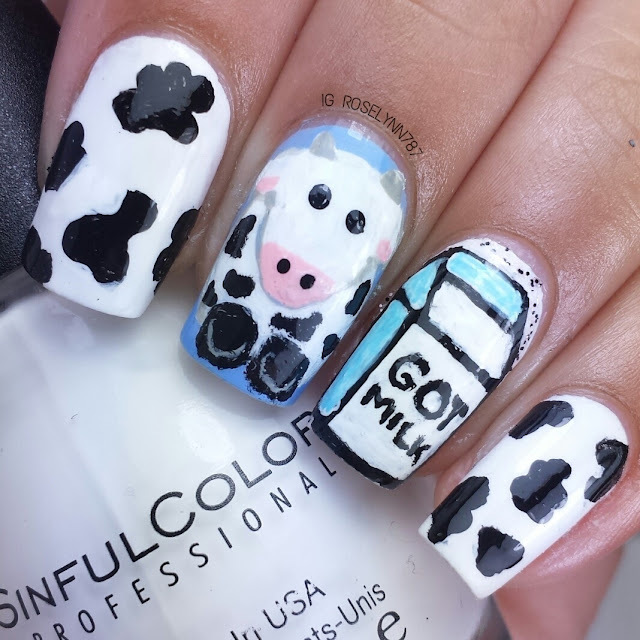 Your nail art is awesome! Thanks so much :) Here's hoping for more art in 2015! These are all amazing, but I love the nightmare before christmas mani and the watermarble! My favs are the Jack skellington and the cow one! I am beyond proud of you for all you have accomplished this year and can't wait to see more of your creativity and art come out in 2015!!! Love yous!! Thank you for always being my number one supporter. 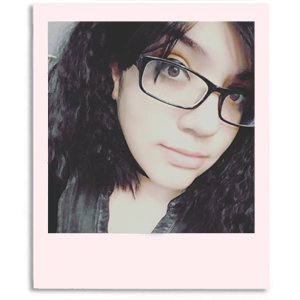 Without you, I wouldn't accomplished half of the things I did in 2014. Love yous too bestie. Thank you! I just love those polishes so much, so worth the hassle to get them lol. 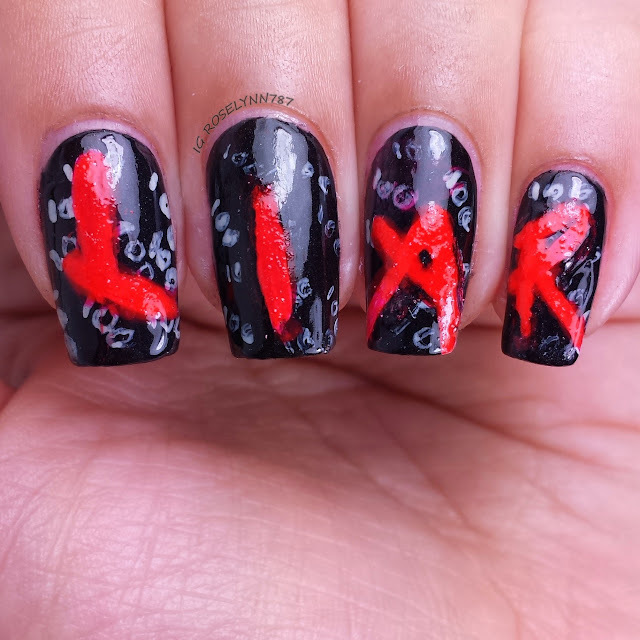 I adore your Barbie mani! 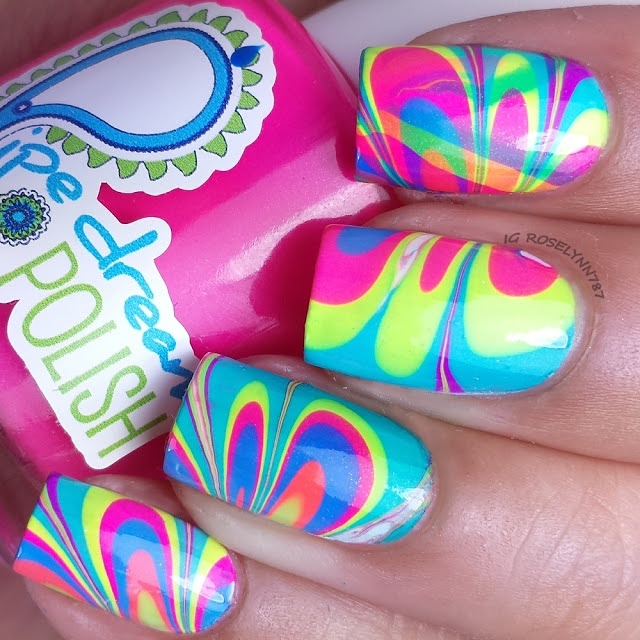 Sooo jealous of your PipeDream Polishes, that watermarble is killer! These are all great, can't wait to see what 2015 brings! Thank you :) Getting them was such a pain, missed so many restocks lol. But definitely worth it. These are all so gorgeous!! The Pumpkin King and Watermarble are definitely my faves but honestly they're all stunning! TruSt me. .I love each one of them. 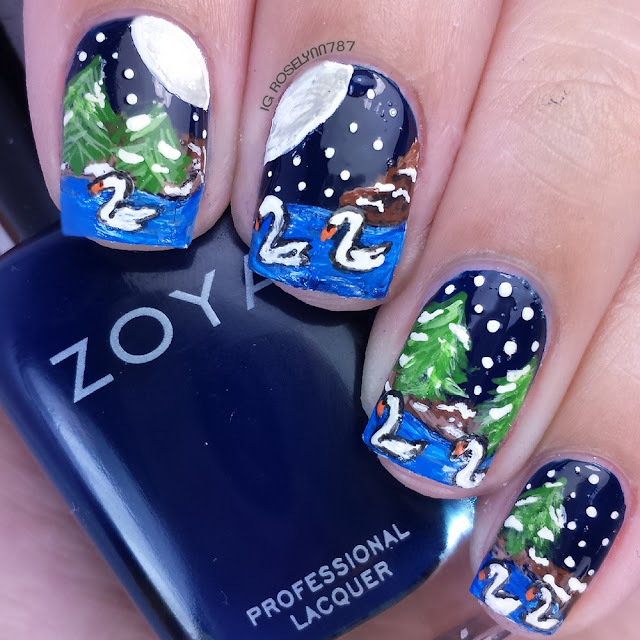 My favorite is swan lake. 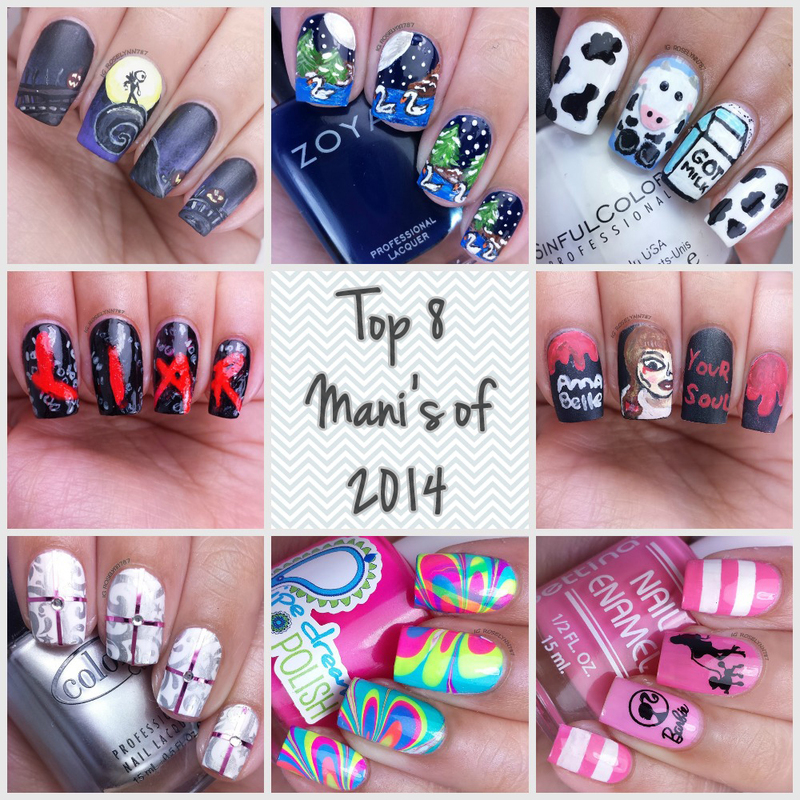 Great manis.I think I will also put a collage fr my favs of 2014. Yes, definitely do it. It's so much fun going through everything and seeing your own growth as an artist. Thanks so much, I'm glad you love them. WOW! 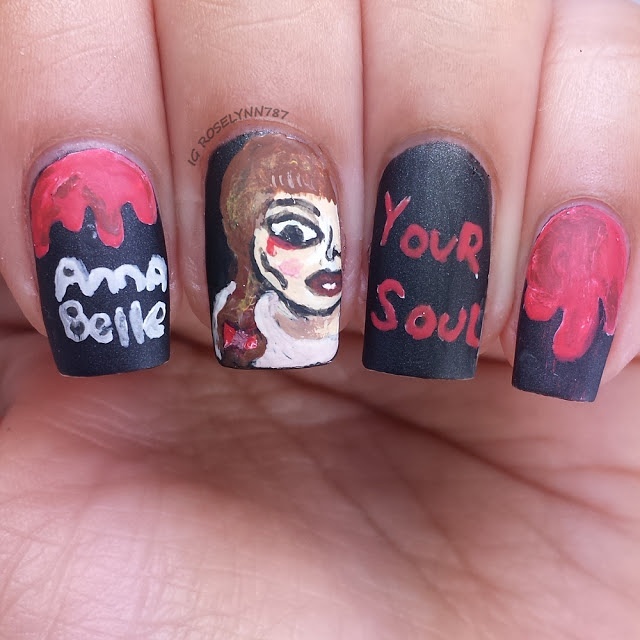 you have some spectacular manis! they're gorgeous! Ah, thanks so much! It really means a lot that you like them. Thank you so much for subbing, I really appreciate it. 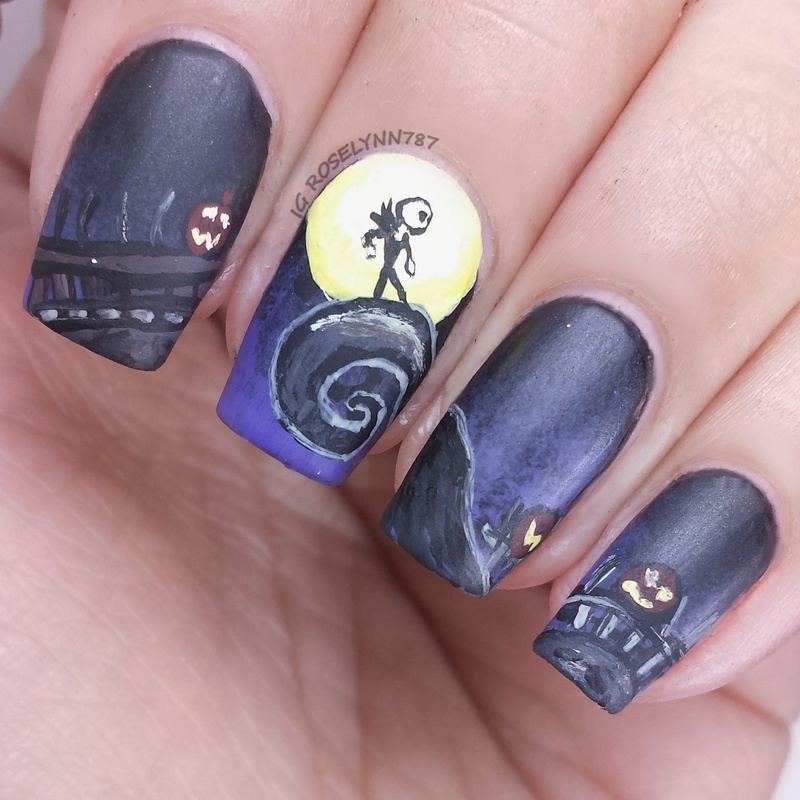 And yesss, I don't think I'll ever top the pumpkin king mani it's my pride and joy lol.